The board of Lakshmi Vilas Bank (LVB) approved the proposed merger with Indiabulls Housing Finance last week. 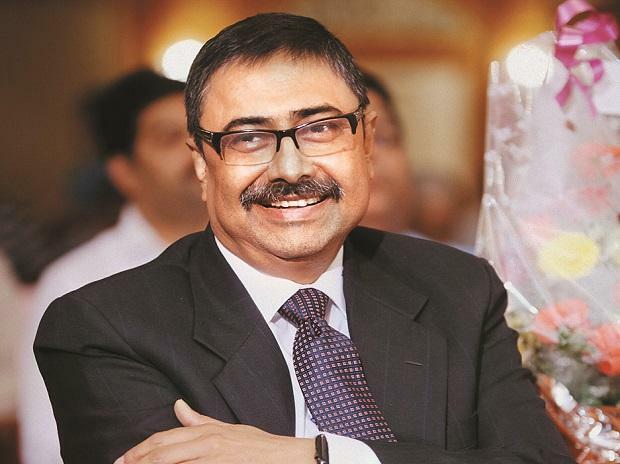 Parthasarathi Mukherjee, managing director and chief executive of the bank, tells T E Narasimhan & Gireesh Babu the move would give a momentum to the concept of NBFCs entering the banking system through mergers. Edited excepts. What prompted the bank to go for the merger? The bank decided to raise funds through strategic investors, and we did raise some amount through qualified institutional placement. But since it was not enough, we went for the merger. We had 8-10 proposals. But none came to conclusion, except for Indiabulls. This particular transaction announcement would now give impetus to the concept of non-banking financial companies (NBFCs) looking at banks and vice versa. What was the obstacle with other investors? And, did the board consider merging with other banks? Valuation was the main issue. We considered merging with other banks, but did not take it forward for the fear of losing the LVB identity. We wanted it to be the core. Indiabulls doesn’t have banking experience and has 9,000 employees (LVB has 5,000). Will the merger be a challenge and create cultural issues? It would be an advantage for LVB, considering the merged entity’s core would be banking. It would be led by LVB employees across the branches. Indiabulls employees come with good retail domain experience, and it has 220 branches, taking the combined entity to around 800 branches. These would now be bank branches, with nearly 14,000 employees. The merged entity, Indiabulls Lakshmi Vilas Bank, would be the eighth largest private bank in India by size and profitability, as against second last in terms of size. At one stroke, we will get a huge leap. By when would the approval come? Do you have a Plan B if there are delays? We are hoping it would take 6-12 months. In the interim, Indiabulls has said it would support us. Besides, the bank is also planning to raise funds by preferential allotment of equity shares and additional Tier-I bonds. What kind of growth are you looking at after the merger? Without the merger our focus would have been on conserving capital and we would have grown at 5 per cent. With this merger and capital, we can grow at a CAGR of 25 per cent. By 2026, which would be 100 years in existence for the bank, we would grow six times. Before the merger, the expected figure was three times. By when do you expect a turnaround, considering non-performing asset (NPA) levels are still high leading to loss since provision coverage ratio needs to be high? Six to eight years back, the bank was growing fast and picked up some chunky corporate assets. While the economy was doing well, these assets were giving good returns, but when things started slowing down these became non-performing loans (NPLs), leading to around Rs 3,000 crore gross NPA by the end of December 2018. More than 50 per cent of these loans are provisioned, and I would actually like to pre-empt the provisioning for the first two quarters now itself to further strengthen the balance sheet. But it is too early to comment. The corporate book was around 53 per cent about a year back. Now it is 37 per cent. Hereafter we would be mostly on a recovery drive for NPLs, which means allocation would be less in the coming quarters and some of the assets would be sold to asset reconstruction companies. Today, nearly Rs 1,400 crore of NPLs are with the National Company Law Tribunal so the bank needs to wait for resolutions. Straight recovery might not be easy in such cases. But on a portfolio basis it would not be unreasonable to expect at least about 40 per cent of the book would stand recovered over time. A bulk of it should happen in the next couple of years. All this, backed by fresh capital, would help the bank start reporting small profit from first quarter. Will the bank continue to be headquartered in Chennai? Will any retrenchment happen? Since our focus is in south, a good number of management people would be based in Chennai. Whether the bank would be headquartered in Mumbai or in Chennai is yet to be decided. As far as the people are concerned, the agreement is clear that all existing service conditions and commitments of the bank will be maintained by the merged entity. We have our own service conditions for our staff and all will be honoured.